If your child has had food allergies for a while, you’re familiar with the challenges of keeping him or her away from potential exposure. But the holiday season can prove especially challenging. Between family gatherings and classroom parties, your child likely will come in contact with even more food than normal. And with the exposure to more foods come the potential exposure to allergens. That’s why it’s important to be especially vigilant about food allergies during the holiday season. Our team at Children’s Hospital at Erlanger has a few tips to share. Read on as we take a look! This one’s a vitally important one and can in fact be lifesaving. If you have an EpiPen, always carry it with you, no matter where you’re going. 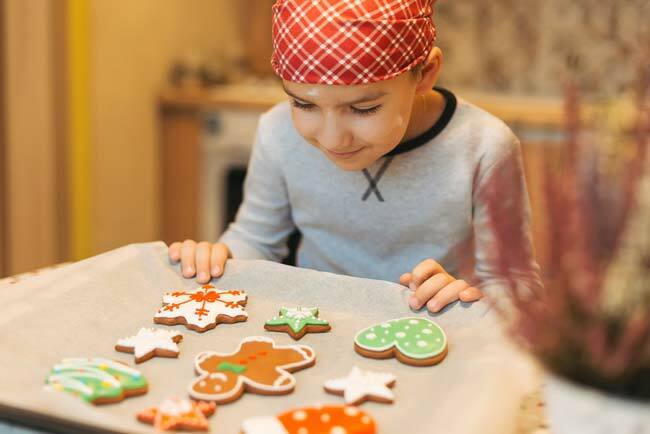 Because your child will encounter a lot of foods during the holiday season, even if he or she is not eating them, accidental exposure to an allergen is possible. Having the auto-injectable epinephrine on hand and knowing how to use it quickly are two vital ways you can protect your child from serious reactions. It’s also important to put together a Food Allergy and Anaphylaxis Emergency Care Plan, if you haven’t already. This plan will help show anyone around your child how and when an Epi-Pen should be utilized. If your child is headed to an event that will involve food, prepare foods ahead of time to take along and share. Choose some of your child’s favorites and take those along. This way, you’ll know exactly what ingredients are in the treats and ensure your child’s allergens are not in them. Odds are, there may be others who have similar allergies or simply will prefer the foods you’re preparing! Even if you don’t choose to prepare a full dish to share with others, plan to send along at least a serving of safe food for your child to any event. That way he or she isn’t left out if there are no known safe foods to be found. You can keep this treat tucked away unless you discover there’s nothing safe for your child to eat. When you’re gathering around a table with family or friends, you may not think about who goes first to grab food. But because cross-contamination can occur when serving utensils are used on multiple dishes, even accidentally, this step is important. Preparing your child’s plate first will ensure that you’re the first to use the utensils and greatly reduce the risk of cross-contamination. All of the steps outlined above are important, but it’s also especially important to talk with your child about what the plan is. When your child has a food allergy, he or she already knows to stay away from that food or there could be dangerous effects. Talk about why it’s even more vital to keep an eye on foods during the holiday season. Make sure he or she knows that this isn’t punishment. 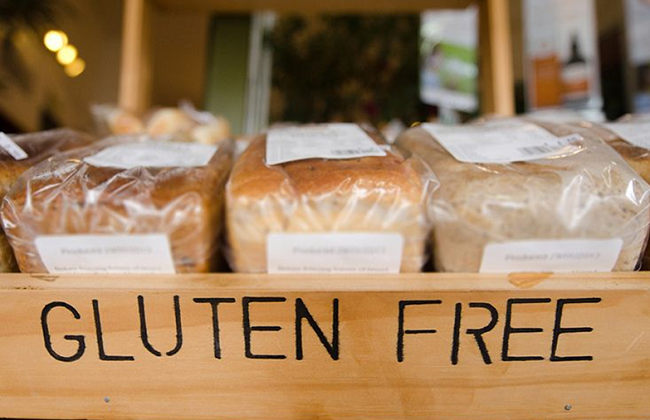 There will still be plenty of fun and good foods to be had, just in an allergy-friendly way. This one’s a hard one, and it may even be something your family is unwilling to do. But you don’t have to completely remove food from the equation during this season. Instead, simply carve out a number of traditions that don’t involve food, so that your entire family can feel involved and blessed by the activity. This may be as simple as creating a holiday craft together or planning a family outing to volunteer somewhere together. If your child experiences an allergy-related emergency during this holiday season, Children’s Hospital at Erlanger offers the dedicated pediatric emergency care your child deserves.